The Nova Hall Stand 2 by Frost was designed according to the motto “form follows function” and therefore, with restrained, space-saving design. 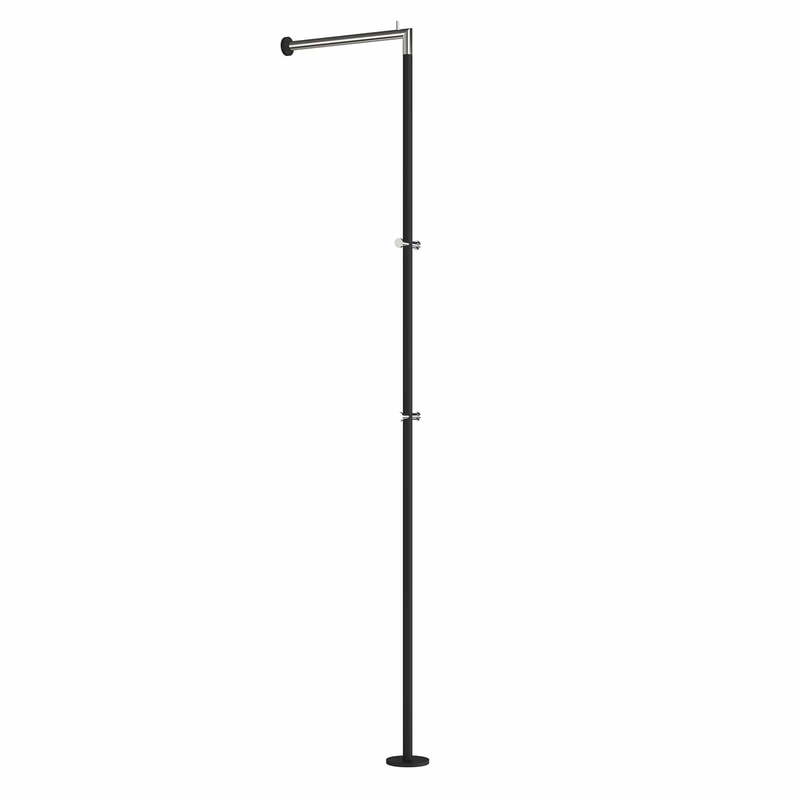 The straight-line clothes rack is simply mounted on the wall and forms a right angle starting from there. On the cross bar, jackets, blouses and other clothing can be hung up on a length of 35 cm with the help of hangers. A stopper at the outer edge prevents a slipping off. In addition, integrated hooks are used for quick and easy hanging of coats or bags. 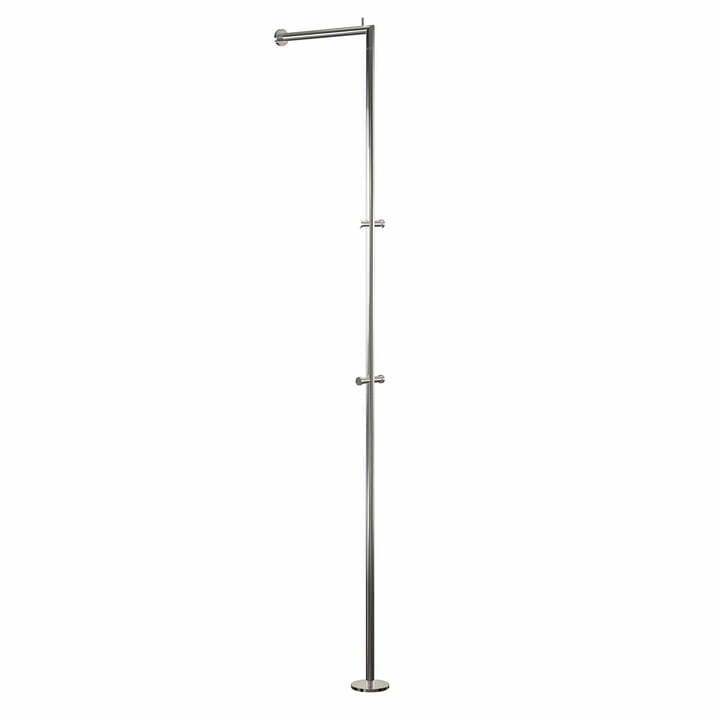 Whether in the bedroom as an alternative clothes rack or in the hallway as a modern coat rack - the hall stand fits perfectly into any ambience. Thanks to the high-quality processing of stainless steel, it can be used in rooms with high humidity, such as in the bathroom. On request, the wall hall stand is available in other colors (black, white, brushed). 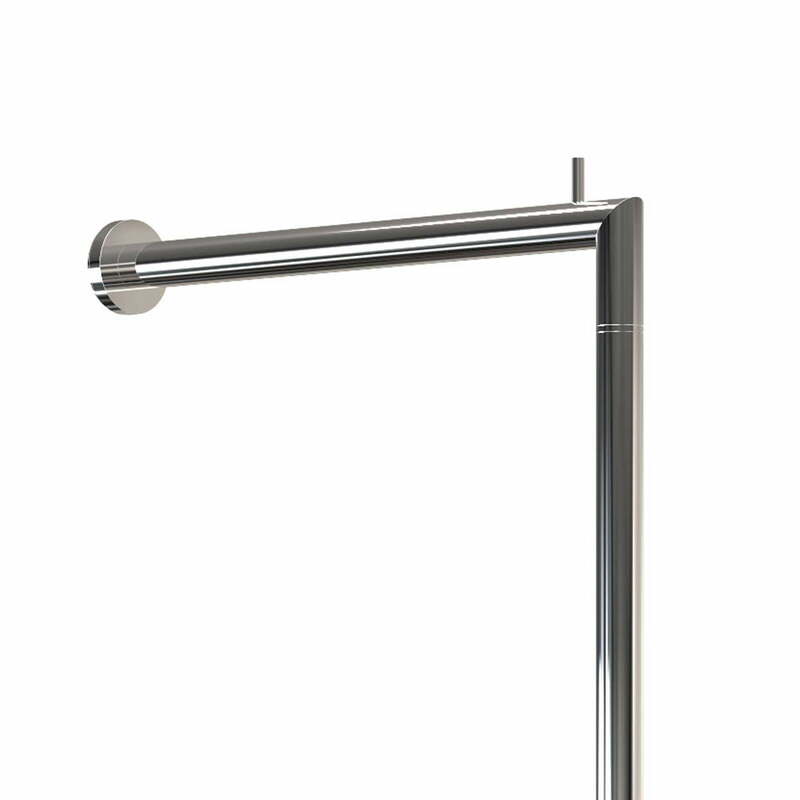 Single image of the Nova Hall Standing 2 by Frost in polished stainless steel. The Nova Hall Standing 2 by Frost was designed according to the motto “form follows function” and therefore, with understated, space-saving design. Detail image of the upper part of the Frost Nova Hall Standing 2. A stopper at the outer edge of the crossbar prevents any slipping off of the suspended coat hangers. Single image of the Frost Nova Hall Standing 2 in black. The integrated hooks on the longitudinal bracing enable an additional hanging of jackets and bags. Ambience image of the Frost Hall Standing 2. 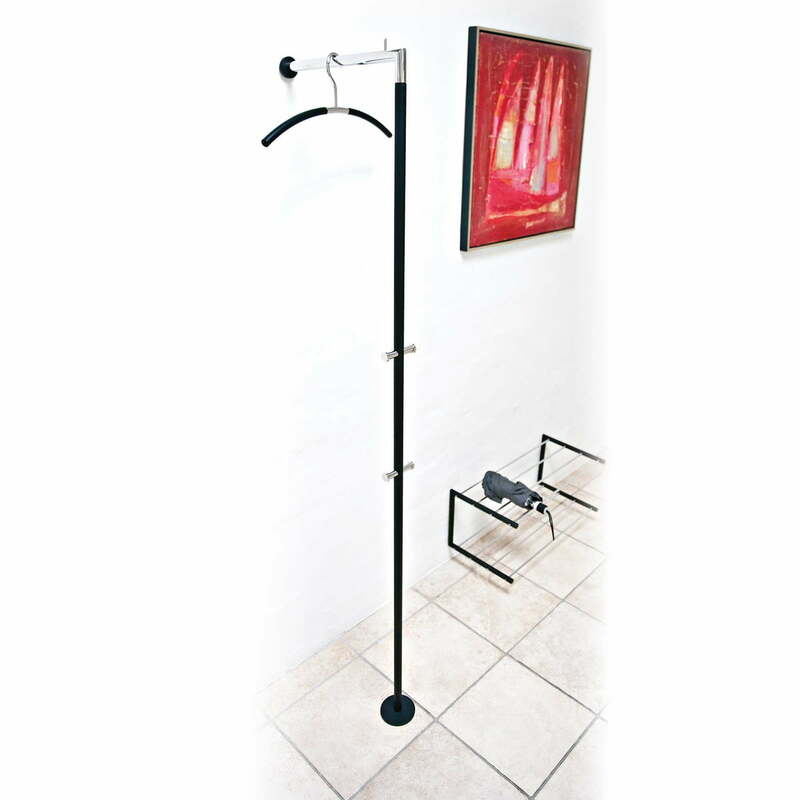 Whether in the hallway as a coatrack or in the bedroom as an alternative clothes rail - the minimalist clothes rack blends perfectly into any environment.